CLAM CLUB is a fusion of film and supper club, dedicated to great female talent in the film and food world. It was founded and started in Berlin in November 2017. We watch a movie, eat together and talk. Men are of course more than welcome to join, the spotlight is on women. 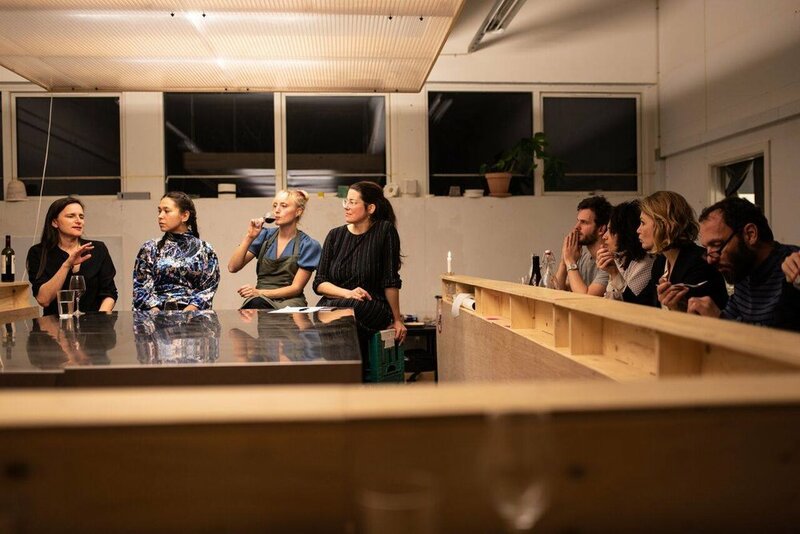 This next Berlin edition is hosted in collaboration with Wolf and features German film maker Lola Randl and Berlin based chef Laura Villanueva-Guerra. Join us for the Berlin premiere of THE BIRDS AND THE BEES and a delicious feast! VON BIENEN UND BLUMEN (original title) is a portrait of "post-capitalist city dwellers" who explore alternative and sustainable concepts of life in the Uckermark, illustrated with summer pictures. Utopia or perhaps a refuge after all? With fine wit and pointed sociological commentary, Lola Randl traces a new longing for closeness to nature and concepts of life alongside the nuclear family in her documentary. Born in Munich, director and scriptwriter Lola Randl accidentally and unintentionally ended up in Gerswalde in the Brandenburg Uckermark via Cologne and Berlin. VON BIENEN UND BLUMEN also takes place there. She quickly found out - and documented - that the countryside is more existential, more direct and less private than the city, especially if you live in the central house opposite the church. Over the years, a regional meeting point has established itself in the remote village, including a Japanese café, a fish smoker, community supported agriculture and film production. So one question remains: Where does the film end and where does reality begin? Q&A with Lola and the chef starts, once dessert is served. Laura Villanueva Guerra is also known as TAUSENDSÜND - which is German and translates to "Thausend sins". Given that she specialised in vegan and raw cakes, the sins really are very healthy and delicious. 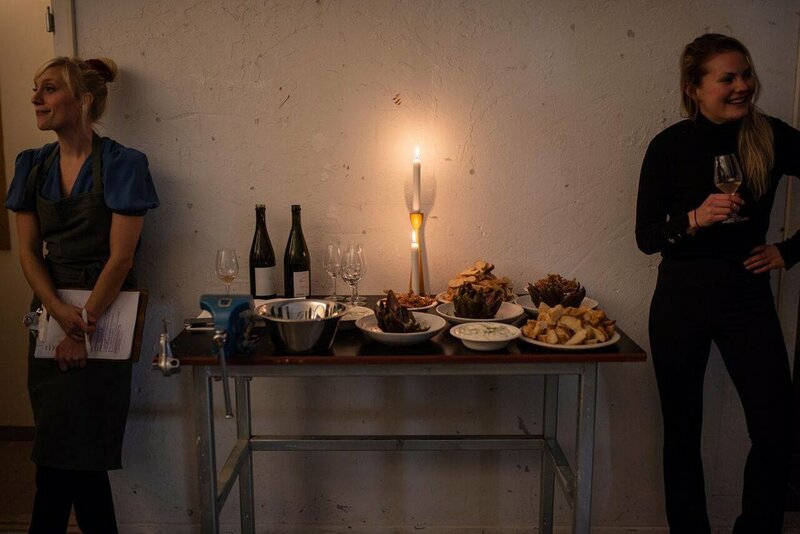 After working as a freelance baker and chef in various cafés and restaurants, such as The Store at Soho House Berlin, Laura started her own catering company Tausendsünd in early 2010. Over the years she developed many vegan recipes for doughs and textures which Laura often mixes with non-vegan ingredients. Her focus as a chef and baker is a general change in the way we look at food. Working with local organic farmers is an essential part of Laura's philosophy. All products used are 100% organic and whenever possible from the region and in season. 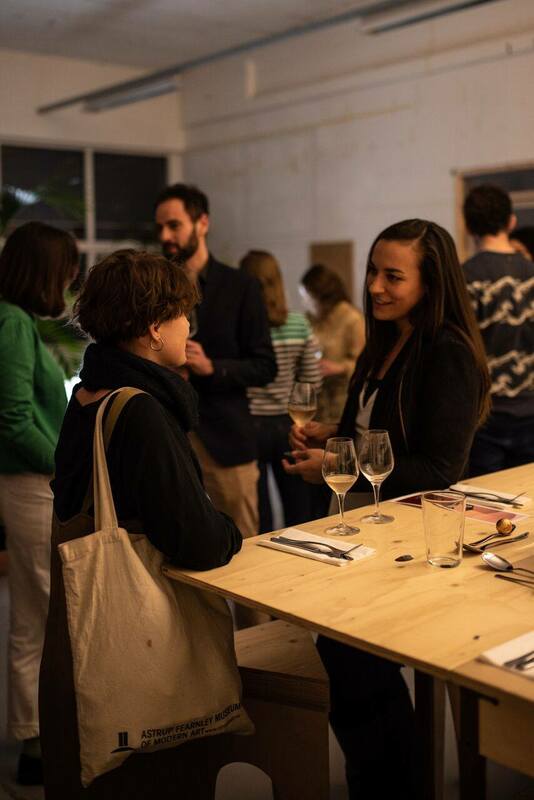 Laura runs a monthly supper club called AN INTRODUCTION TO that introduces each month by the season, she teaches workshops on vegan cooking and baking, wholefood and seasonal cooking for children and adults. Laura lives with her four children in Berlin Mitte. On weekends she likes to go to Uckermark, where she also met Lola and joined the film project as a chef. Come and join us for Laura's special film launch dinner and find out about her next projects! The ticket costs EUR 55 and includes an aperitif + snacks + film + 3 course dinner + water. Additional drinks can be bought at the bar. Doors open at 6.30pm and you will get an aperitif and some snacks, before we start the program at 7pm. This evening is possible thanks to the support of Wolf, founded and run by Verena von Stackelberg and many more creative wolfs.